The Fishtails collection will have you saying "Fish On!" featuring quirky fish for both decoration and functionality acting as drawer pulls. 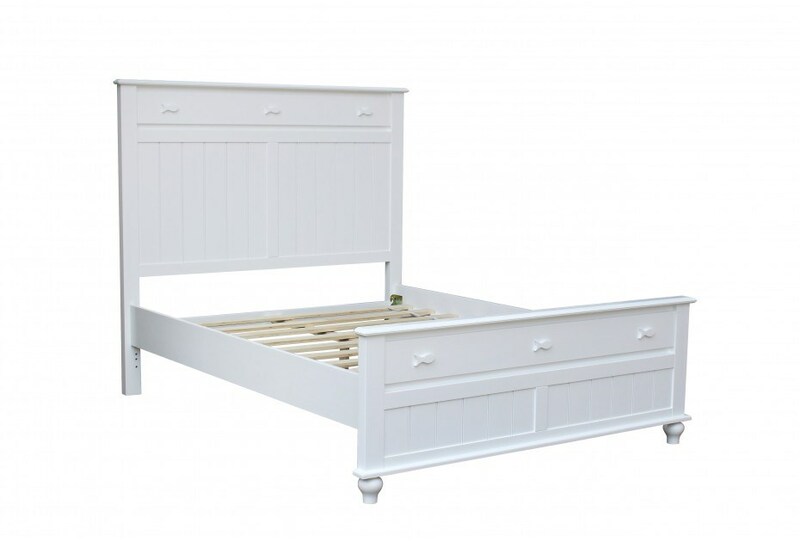 Featuring a white finish with a panel headboard and footboard. Built with longevity in mind, all drawers are fully extendable and feature double ball bearing glides. The drawers also include English dove tailing on both the fronts and backs, corner blocked and center supported for durability.